These three bedroom, four-star Las Lomas townhouses offer modern comfort in a great location. Accommodation is spread out over three floors, and includes outdoor patio space, indoor dining and living areas, along with a stylish double bedroom and two twin bedrooms. Las Lomas Village is one of the self-contained communities at the La Manga Club, offering apartments and townhouses in a great location. With a pool, spa, and mini market within walking distance of your luxury accommodation, and a free shuttle taking you to the first-class sports and leisure facilities La Manga Club has to offer, you will have holiday memories to last a lifetime. Relax in spacious surroundings, with a fully equipped kitchen, bathrooms, and home entertainment system at your disposal. 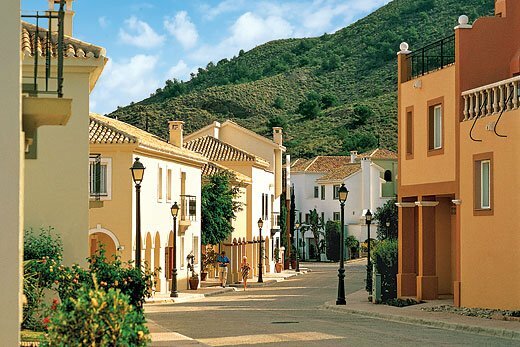 You´re staying in an area of Spain that offers an enviable year-round sunshine record - enjoy the Spanish Costa Calida in style at the Las Lomas Village Townhouses, at Manga Club Resort.